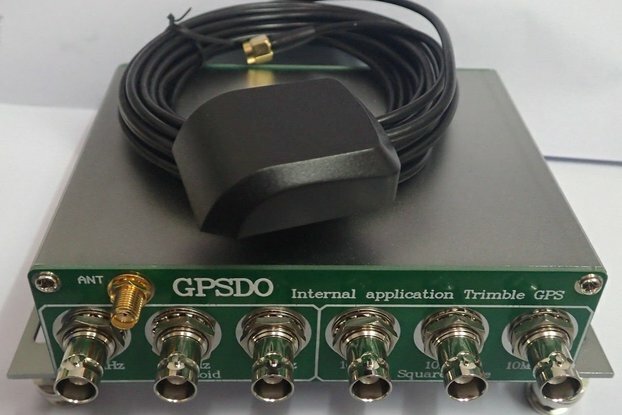 This is a talking/chiming clock that gets timing information from GPS. It announces the time at the push of a button, and can optionally sound out chimes (Westminster Quarters comes stock on the clock's µSD card). 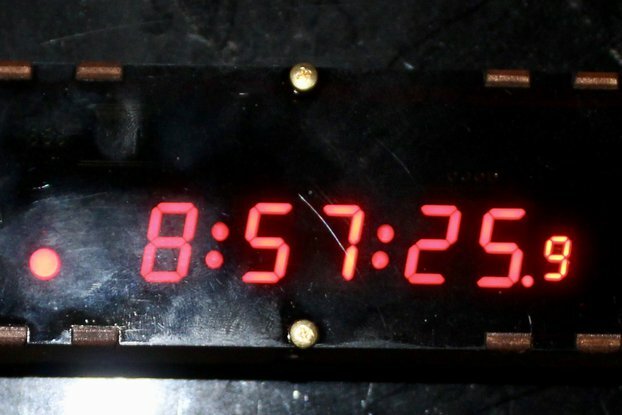 The clock has a µSD card slot that contains a card with audio samples that are used to construct the time announcements and chimes. It can chime (when the announcements are muted) by playing audio files on any by-the-minute schedule desired (by default the clock comes programmed with Westminster Quarters every 15 minutes). 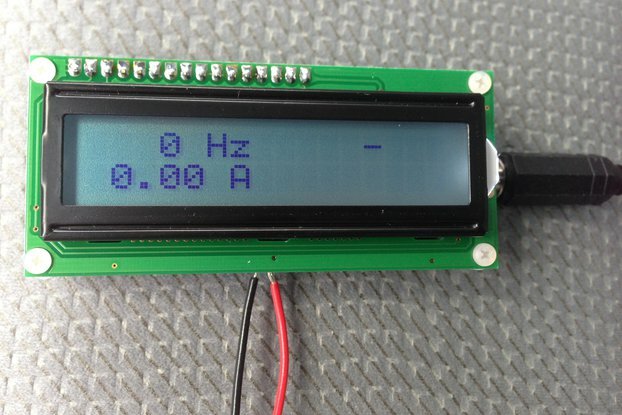 It has an onboard 1 kHz tone generator that is used to make the ticks and beeps. 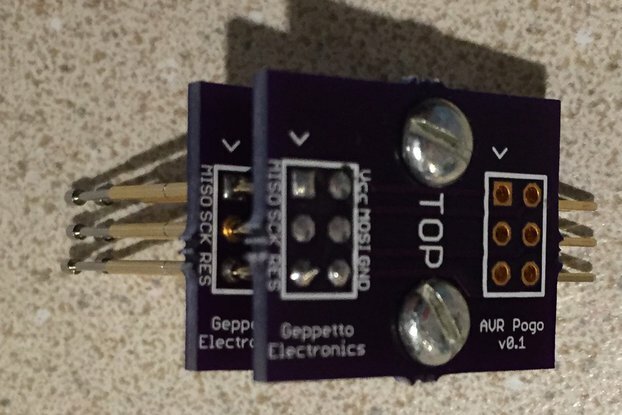 There are four DIP switches on the board allowing you to configure up to 8 different time zones (via configuration on the SD card - by default support is included for continental US timezones, plus Alaska and Hawaii and UTC). The clock can be configured to use DST rules for the US, EU, Australia, New Zealand, or no DST. The fourth DIP switch enables or disables the chimes. There is a balance trimmer on the board that adjusts the relative volume of the voice/chime audio against the ticks and beeps. There's also a volume control that is either a board-mounted trimmer or alternatively can be wired to a chassis mounted volume control. The antenna connector is an SMA female jack. 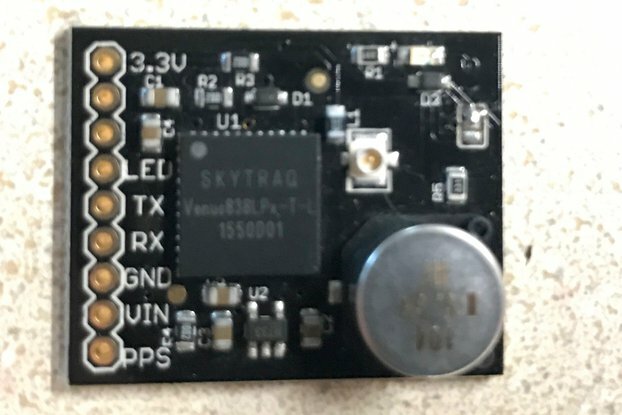 By default, it can supply up to 100 mA of 5V active antenna power, but there is a jumper that can be changed to supply 3.3V instead if desired (or opened for no active antenna power). The accuracy of the clock is limited more by the latency caused by the speed of sound than anything else. In other words, it's as accurate as an aural clock can possibly be. 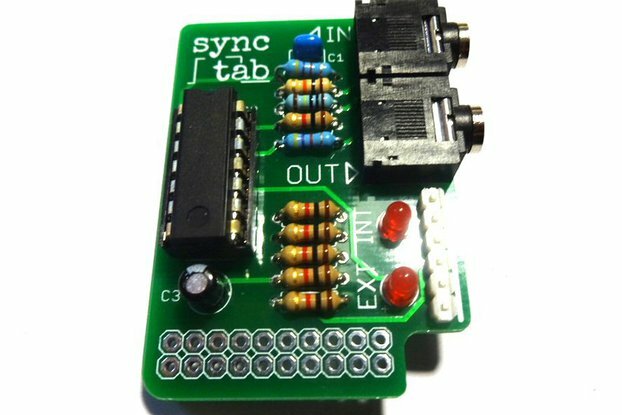 The clock comes as a board with all surface mount parts assembled and programmed, and with a programmed µSD card. 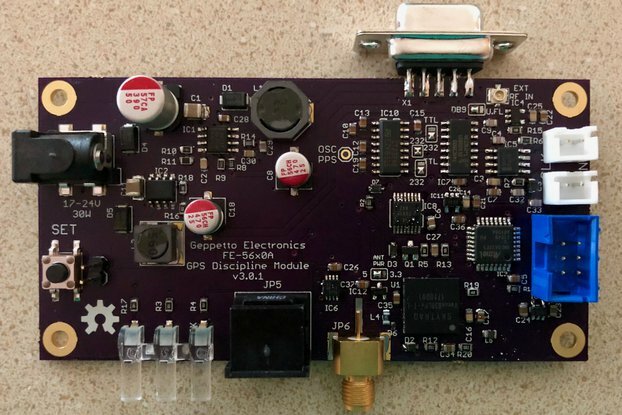 Just install the DIP switch, volume and balance controls (the sole through-hole parts), connect an antenna, speaker, power, and (optionally) add a CR1220 battery. 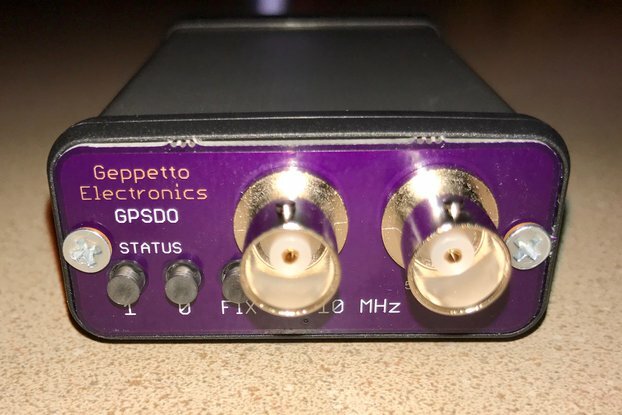 It can optionally come with a suitable antenna and/or power supply (3W+ @ 5V, 2.1mm barrel connector, center positive). 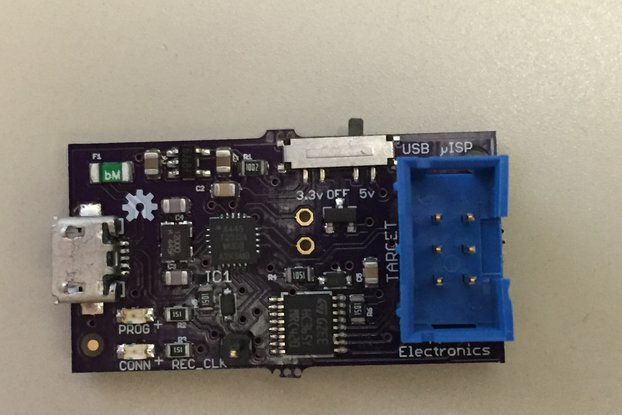 You can use the on-board button or solder wires to a connector on the board to connect your own. A laser cut wood case (4" x 4" x 2") is also available. If you order the clock with the case, then it will include a button, a speaker and a chassis-mounted volume control and knob. 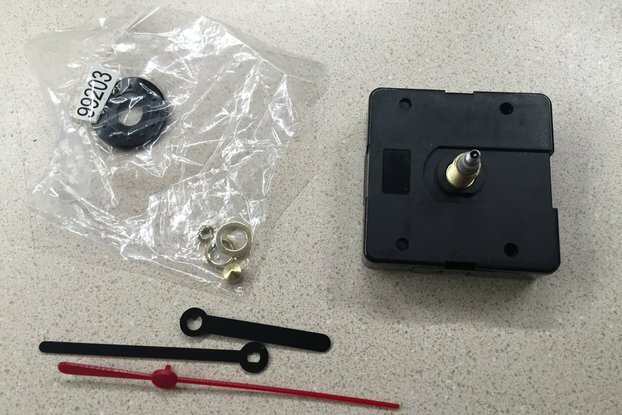 If you order your clock assembled, then it will be ready to use (just connect an antenna and power). Seriously Nick engineered this well. Right away it is easy to configure for UTC or any USA time zone including Arizona Alaska and Hawaii which could have been overlooked but were not. The firmware is setup to support any time zone in the world with an edit of text files on the micro SD card. I’ve met Nick. I like his voice and think his is a pleasant neutral male voice. But what if you want an Australian female voice instead. Find her and get a recording of her speaking “At the tone Pacific time will be”, and her speaking each of 24 hours (“2 hours”), and her speaking each of 60 minutes (“29 minutes”), and six intervals of every 10 seconds (“20 seconds”). So you see that with fewer than 100 phrases recorded and put in the correct format on the micro SD card you can have any voice in any language. This is an open source project. It means you can take the design and make and share improvements. It also means you can peek at how the software was written and see what degree of thought was put into the design. I did just that, and I can tell you that if you are listening to this clock when daylight savings time changes it will handle it perfectly. You know what else is carefully coded? If and when we have a leap-second placed into GPS time this clock will handle that perfectly also. I’m delighted with this talking clock. I recommend it highly if you find the concept of owning a talking clock appealing as I do.